A sparkling smile is what everyone dreams of having. That’s why teeth whitening is among the most popular services we offer. Although the consumer market for whiter teeth is growing, the truth is that superficial over-the-counter methods are largely ineffective. With the passage of time, teeth darkening is inevitable. We can counter this teeth discoloration with various teeth whitening solutions. Several factors cause your teeth to darken, such as the consumption of soda, tea and coffee, tobacco intake or certain foods. There can also be other reasons for it, like illness or medication at an early age, and neglecting to take proper care of oral hygiene. Our aim is to brighten up your smile again with white teeth, and our teeth whitening professionals make sure this happens. The methods we use are industry approved, and our trained team makes sure that the needs of every individual patient are met accordingly. The Zoom!® In-Office Whitening System is one solution we offer. This method makes your teeth shine again by gradually breaking down teeth stains, using a light specially designed to work with the Zoom!® Whitening Gel. Recently, there has been a lot of discussion about how safe teeth whitening services are. As long as a dentist is supervising the teeth whitening procedure, research by various organizations like the American Dental Association have proclaimed it safe. Many dentists are actually of the opinion that teeth whitening is safer than any other cosmetic dental practice. Not only will you feel more confident going out, others will look at you differently in a positive way. So don’t hesitate to try out the Zoom! Whitening method and show off a newer smile that shines! Once you have undergone the procedure, it is essential to follow the instructions given for post-whitening care. 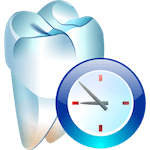 You can keep your teeth sparkling for longer with proper oral hygiene routines. Using the Zoom!® Take-Home Gel for periodic touch-ups is also a good idea. The treatment will give you a brighter smile than ever before, but if you want the results to last longer, maintaining your teeth properly is important. Almost everyone can attain whiter teeth with the Zoom!® System, but in some cases it can be ineffective. A consultation with professionals can help determine whether teeth whitening is viable for you. Give us a call and schedule an appointment if you want to experience the Zoom!® System.